Are your students ready for Kindergarten? Do they need some extra practice of Kindergarten math skills? These interactive notebook activities are intended to help students understand how to decompose numbers less than or equal to 5 into pairs in more than one way, write numbers from 0 to 5, understand the relationships between numbers and quantities, count “how many?”, identify whether the number of objects is greater than, less than, or equal to, and compare two numbers between 0 and 5. Cut and glue all the pieces. Review work and show mastery. Practice cutting and fine motor skills. Creating ownership and pride of their work in math notebooks. Showing mastery of math skills. "RTI time with Kinders can be challenging. 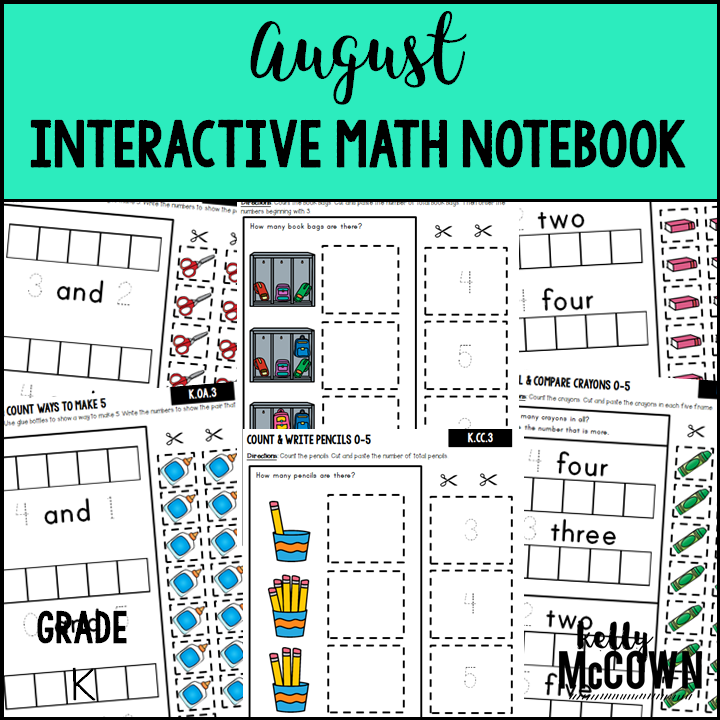 This interactive notebook gives the students cutting, coloring and gluing, things that will keep them engaged and learning while also being fun! Thank you!" 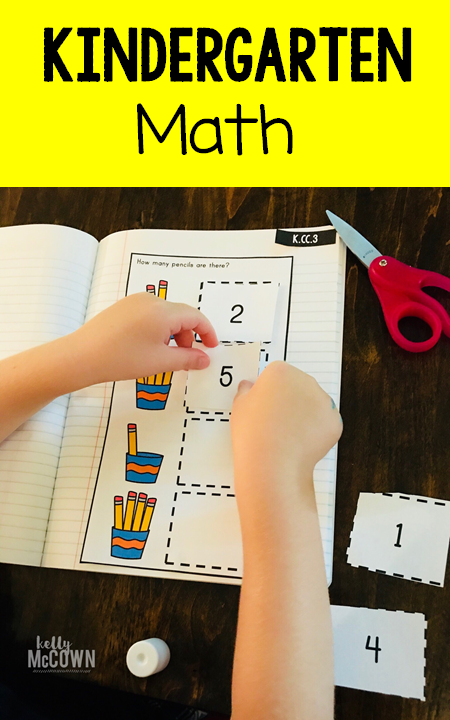 -Kinder Teacher "I love using this for my Math Intervention Group in Kindergarten!" 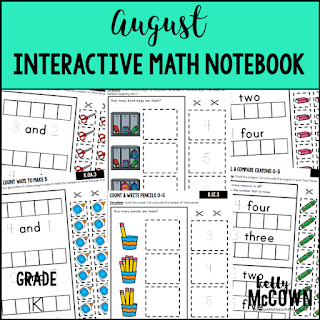 -Happy K Teacher Interactive Math Activities are engaging and help students understand the concepts better. Easy to use for intervention, lessons, or extra practice. Happy Teaching!